bureau betak is a special events company dedicated to the industries of fashion, beauty and art. 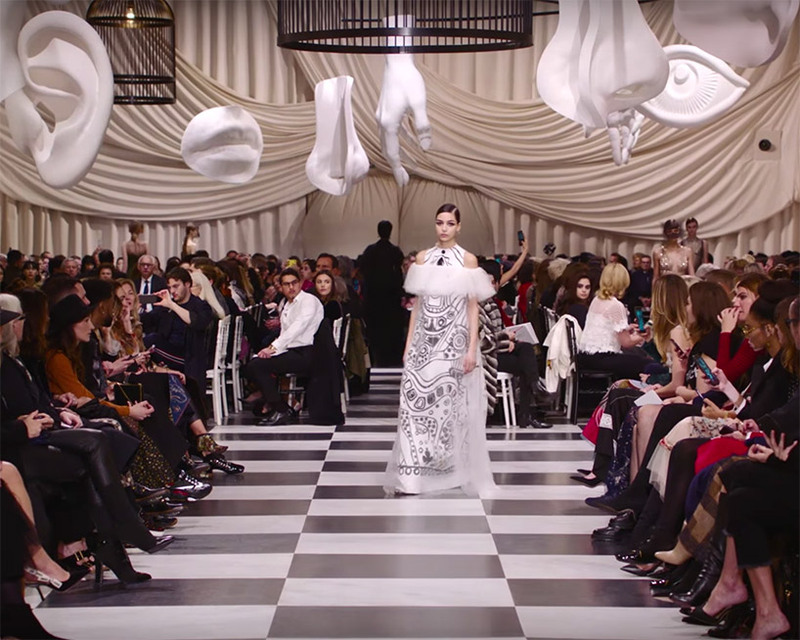 founded 20 years ago by creative director and producer alexandre de betak, the studio specializes in fashion shows and events, and operates worldwide, with offices in paris, new york and shanghai. 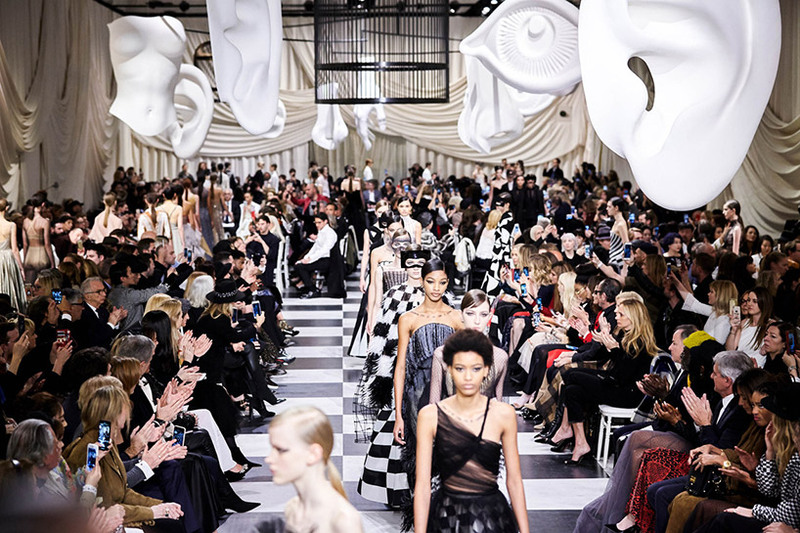 all work and projects related to fashion show design, including runway, set production and artist commissions. 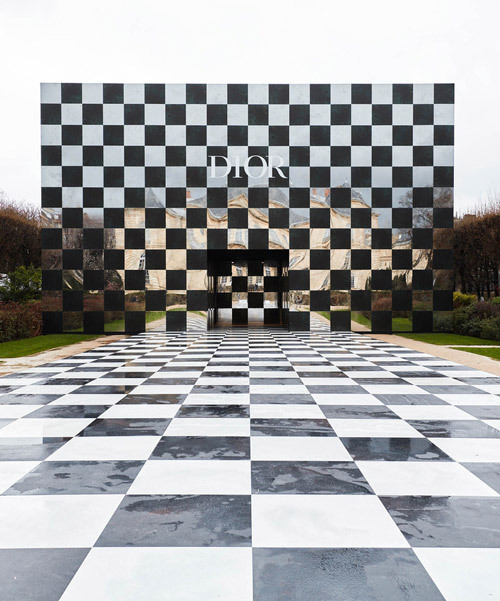 following bureau betak’s dramatic mirror-filled pavilion last year for dior’s spring 2018 show, the studio unveiled yesterday their new creation for the same fashion brand: a checkered-pavilion in paris’ musée rodin for the spring summer 2018 couture show. 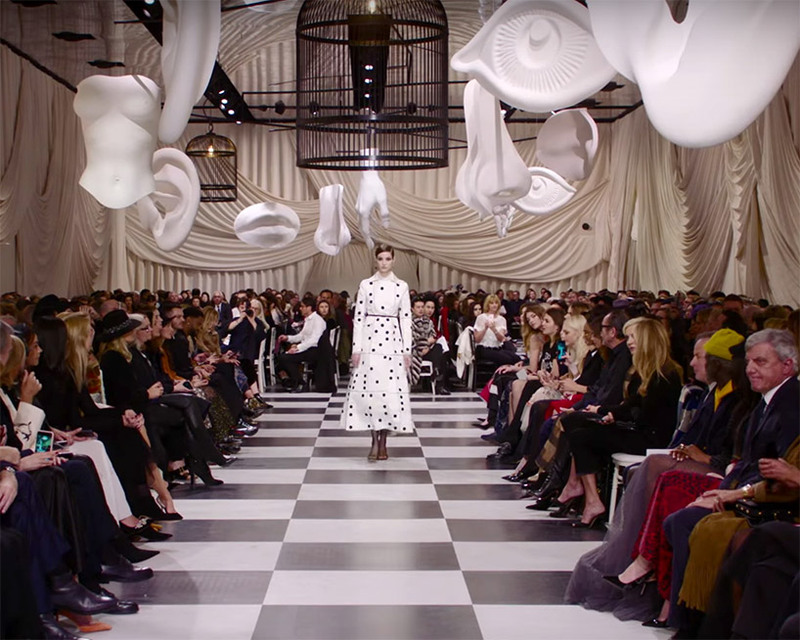 the set, featuring monochromatic tones and oversized body parts hanging from the ceiling, responds to maria grazia chiuri’s — dior’s creative director — surrealist-inspired runway creations. 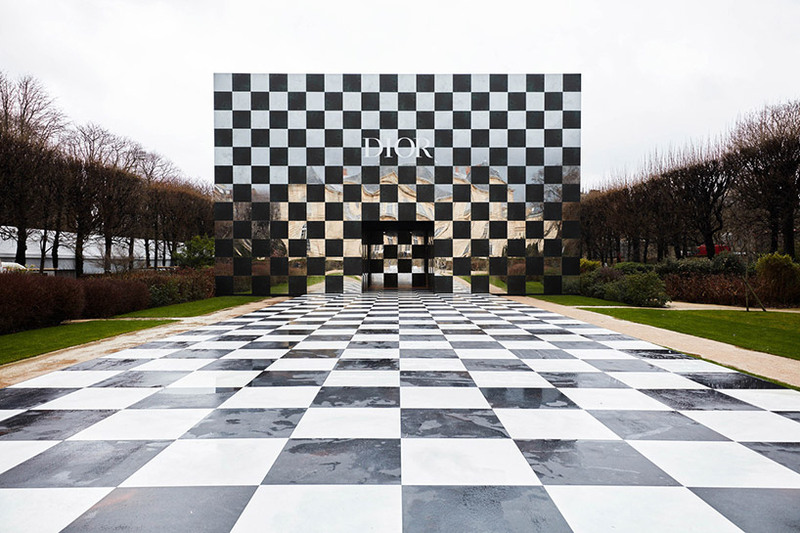 greeted by a squared structure having a pattern consisting of alternating black and mirrored squares, the dior pavilion designed by bureau betak already depicted a strong aesthetic. following the same design, the floor flowed into the walls of the pavilion, guiding the visitors into the interiors. 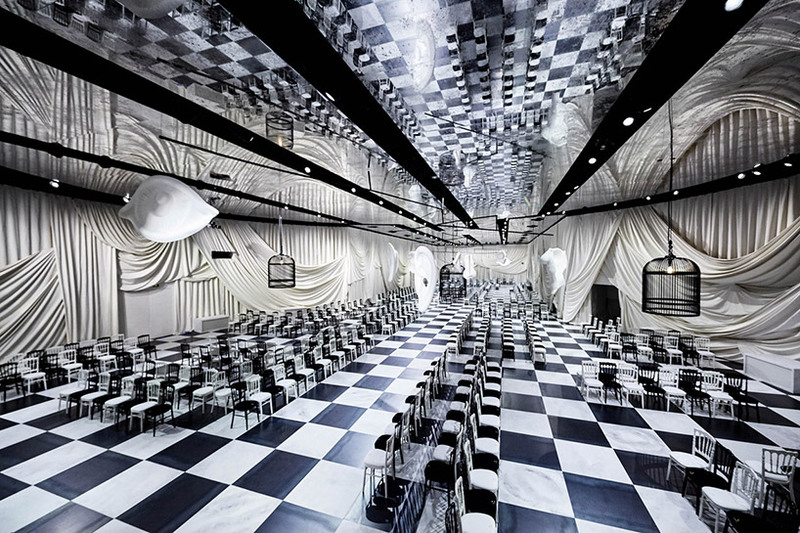 once inside, a dramatic black and white space opened, surrounded by white draped-textiles. 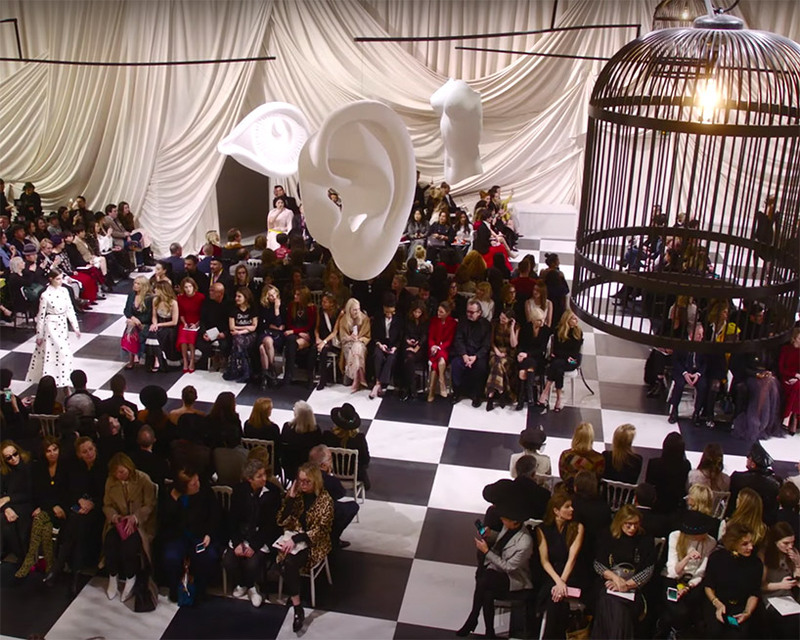 hanging from the ceiling, different body parts like eyes, ears and torsos, accompanied by bird cages, brought the attendees back to surrealist paris. ‘only the inevitable theatricality of my life interests me.’ a quote by leonor fini — an argentinian surrealist painter who worked closely with christian dior— that inspired maria grazia’s latest collection. as for the set design, these words fit it perfectly too.